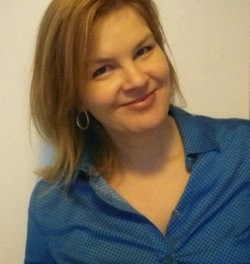 Katie Hayoz author of Untethered, Kissing Clarisse and short-story-contributor to Celestial, brings a beautiful Christmas tradition and a reindeer crush confession in her delightful Christmas interview. At the risk of sounding like a Scrooge, I can only bear to listen to Christmas carols for two weeks of the year. When I decorate the Christmas tree with my girls, I pull out the one Christmas cd I have and play it on repeat. From that day until Christmas day, I'll listen to carols, but NOT after December 25th. If I had to choose a favorite carol, I'd say I love the Little Drummer Boy because of the mounting drum beat. It's fun to air-band to. which would it be and who would you be? I'd be in the classic stop-action film Rudolf the Red Nosed Reindeer. It's the only Christmas movie I make sure to watch every year and the only film I force my kids to watch. I'd be Clarisse, because I've always had a thing for Rudolph and she gets to snuggle him. Family. Forget the gifts and songs and even the tree. If I didn't have family around, I wouldn't consider it a holiday. I wish I could be with my family in the States every year, but unfortunately, I can't always do that. So I'm lucky to have my husband, kids and in-laws to celebrate with here in Switzerland. What's your favourite holiday tradition or food? Why? After the tree is up and decorated, I let the rest of the family go to bed and I stay up by myself. 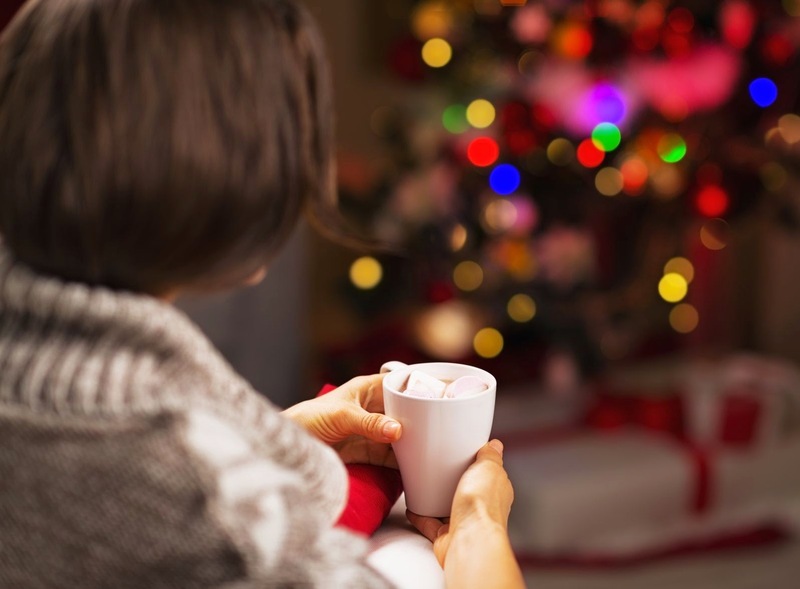 I make hot chocolate with little marshmallows and sit in the living room with only the tree lights to see by, breathing in the scent of evergreen and listening to pure silence. I take five minutes to just lean back and enjoy the moment -- the peace and magic and, of course, the chocolate. It's five minutes of appreciation and thanksgiving in a period that can be nothing but craziness and hassle. Maybe the one time I brought brownies to a family gathering over the holidays and they were so overcooked (and just a tad hard) that my brother Matt got a power saw from the basement to cut them with. Yeah. He's a real riot. 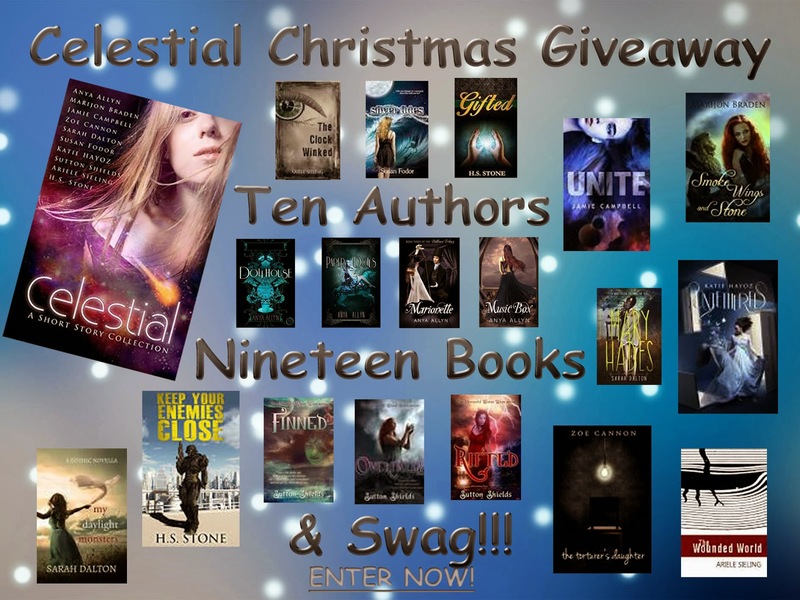 Enter our Celestial Christmas Giveaway for a chance to win Untethered and eighteen books plus swag! The Holly Jolly Holiday thrills continue at Sutton Shields Blog with a festive interview with Zoe Cannon on the 9th of December! Don't miss it!